“A new serial is going to come, It is Kyunki Mantri Bhi Kabhi Graduate Thi (The Minister was also a graduate),” Congress leader Priyanka Chaturvedi said. 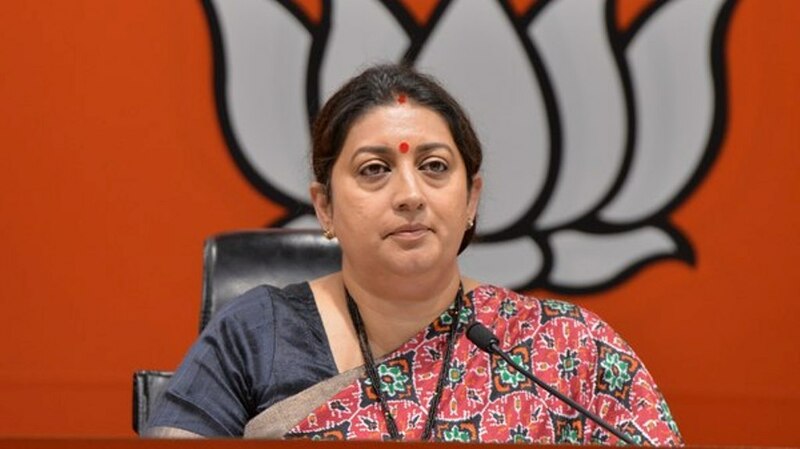 Irani, a former television actress, declared that she is not a graduate as she filed her nomination from Uttar Pradesh’s Amethi on Thursday for the Lok Sabha polls. Refresher course (correction)~ The Mantri Version. However, in an affidavit for the previous Lok Sabha polls in 2004, Irani had stated she did graduation from Delhi University’s School of Open Learning with a Bachelor’s degree in Commerce. On Thursday, the Union Minister stated she completed her senior secondary school in 1993 but did not complete graduation. Irani, who held the Human Resource Development (HRD) Ministry in initial period of the Narendra Modi government, is contesting against Congress president Rahul Gandhi. In 2014, she was defeated by Gandhi in Amethi.